Break Bulk Cargo which is provided by us is a unique logistical service. We have different types of boxes, crates and barrels for the units which are needed to shipped separately Specific vessels are selected to provide safety and protect the integrity of the shipment. 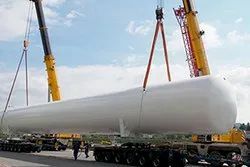 Shipment which cannot be shipped as containerised cargo , due to being over dimensional and/or overweight has to be planned & loaded directly onto the vessel as bulk , known as Break Bulk Cargo. we have been acting as exclusive and competitive broker for air & sea chartering. We fix ships regularly for dry bulk cargoes. All types of neo-bulk products including rubber, forest products, bag goods, rice, sugar, cement, iron & steel, fertilizers, log wood, oil and containers are handled by pole to pole. Dry Bulk Chartering is LBC’s core activity whereby it has a large portfolio of both vessel Owners/Operators and Charterers worldwide. LBC provides Chartering, and consultancy on all aspects of shipping, be it a single voyage charter, time charter, period charter, mini and long term contracts of affreightment. At AVION SHIPPING ENTERPRISES we love global logistics and never shy away from a challenge. The demand for quality ocean transportation is ever increasing and AVION SHIPPING ENTERPRISES offers unrivalled experience in finding efficient solutions for complex challenges. Bulk Charter is a fully managed service offering maximum convenience and flexibility. Benefits include dedicated check-in arrangements, increased baggage allowances and custom catering. Break Bulk freight for oversize loads or those unsuitable for container loading. Our experienced logistic professionals will provide Break Bulk services as per client’s requirements. 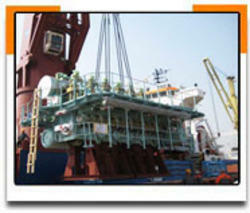 USS customers entrust us with the transportation of components for their turnkey projects. Power plants, petrochemical and water treatment installations, transformers, generators, engines, cement plants. We are perfectly suited to arrange carriage for breakbulk and conventional cargoes such as steel plate, coils, pipes, ingots and forest products, stones eta. Break Bulk - Cargo that is too big or too heavy to be loaded onto a flat rack container can be loaded directly onto the vessel. We provide total solution for Break-Bulk Cargo. • Czar Air Bulk charter services eases group travel by making arrangements for special carriers that could accommodate a group of people who need to travel together for particular purposes such as destination weddings or corporate events. We offer very competitive Break Bulk / Chartering rates through our global association with various break bulk operators we can assure to source a vessel on time as per customers requirement. Cargo that is too big or too heavy to be loaded onto a flat rack container can be loaded directly onto the vessel. These are known as Break Bulk Cargo.